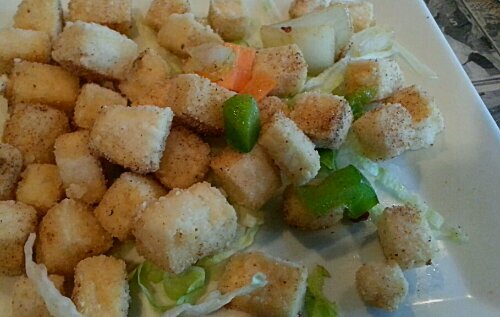 Ahhh…Five Spiced Tofu…from Hawkers is awesome! Love the five spice flavor. What about it is so great or good? Maybe…salty, grounded peppers, umm… some anise powder, perhaps cinnamon… or crushed basil… not sure. All crushed and mixed together. It is definitely an acquired taste. Five Spiced anything is just great! Give it a try if you dare.